Bit off more than you can chew, huh? 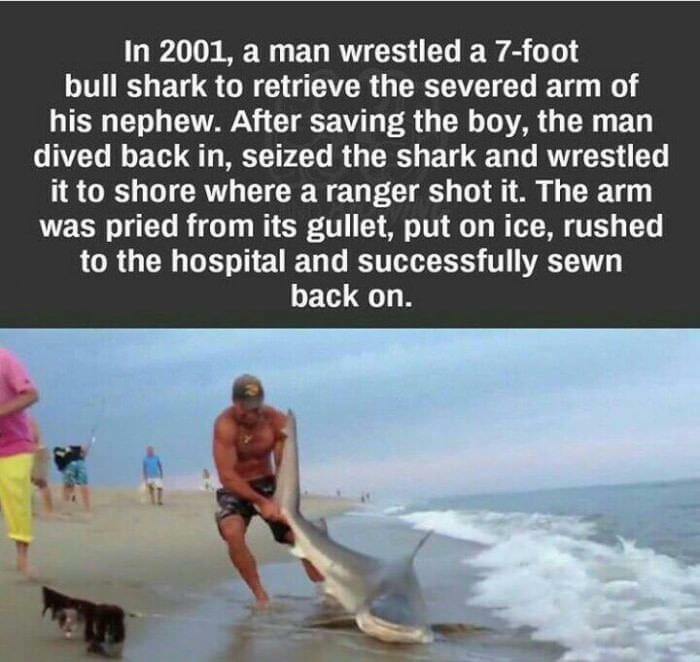 It’s normally illegal to shoot a shark but since it was proven that the shark was armed at the time, the shot was ruled self-defense. He was shot to be disarmed. Is the guy by any chance Australian? I think he was from Mississippi, it took place in Florida. Ahhhh Florida Man, forgot about him. Except you can clearly see the fishing line. fake meme. The boy had no insurance. The surgery ended up costing an arm and a leg.